You hear that right, Goa finally has a Platform which can get your tasks done at an introductory price of 50 Rupees. Taskboys launched recently promises to take up almost any tasks like Bill Payments, Cheque deposits, Supplies Delivery, Grocery Shopping, laundry pick up and delivery, and the most interesting of all, they promise to provide even Senior Citizen Assistance. 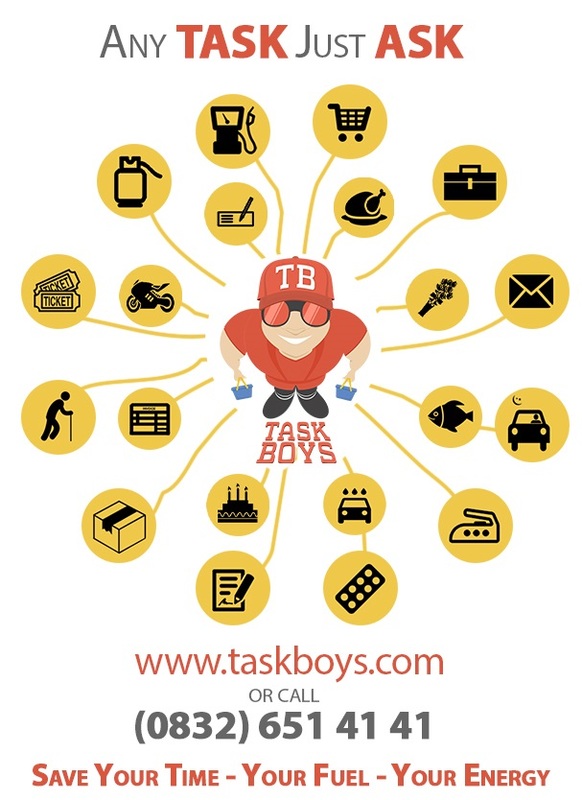 TaskBoys is a service product of FabCoders & currently has a team of 6 boys that can complete a variety of errands . The service is available from 8:00 am to midnight. Remmie Azavedo who came up with this project says he is keen on helping senior citizens who have difficulty moving around with this service. With one call the elderly people can find their tasks done quickly and efficiently.